This was another great project from my stamp camp last Tuesday. I know I’ve said it a dozen times, but I LOVE FALL and I LOVE this card. I used paper from the Winchester Cardstock Collection and the stamp sets Good Timber and It’s the Little Things from The Angel Company. In celebration of the coming Fall, I am offering a free Angel Company catalog to the next 10 customers who purchase 3 items or more from my Etsy site… www.kandyskeepsakes.etsy.com… no minimum dollar amount. Just mention this post in the comment/messages section during check out when you make your Etsy purchase. I’ve listed this card on my Etsy site. If you like it follow the link and see what else you can find. 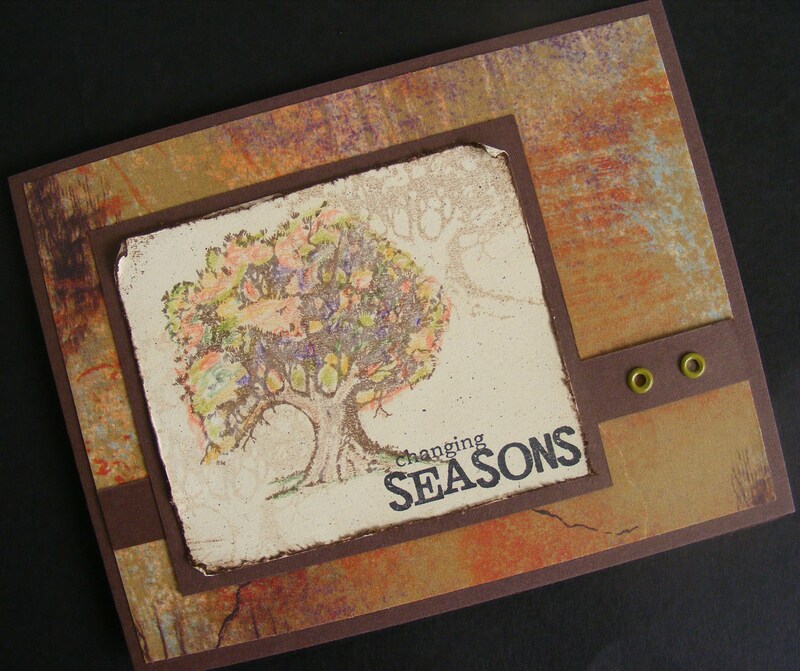 This entry was posted in Cards and tagged Autumn, Changing Seasons, Fall, Free Catalog, greeting card, The Angel Company, Tree. Bookmark the permalink. I really love the Fall card. It’s my favorite season. I love this tree. Never considered buying it but seeing it colored like you have it makes me want it. Thanks for sharing it!